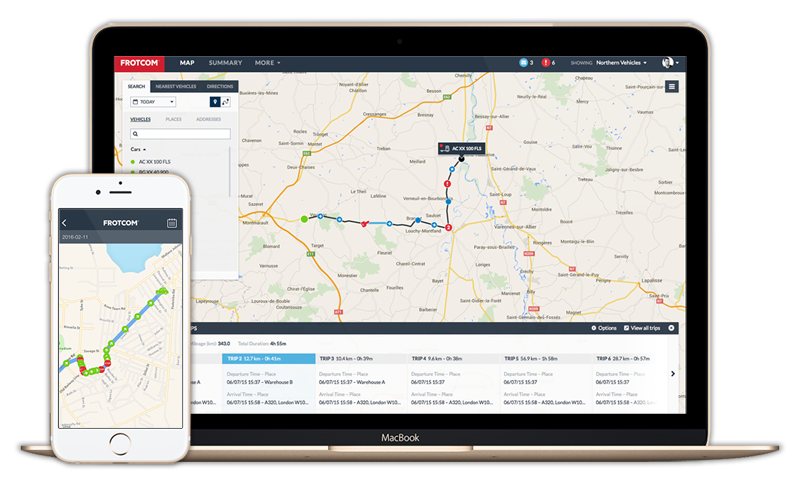 Frotcom is the vehicle tracking system that allows you to control your fleet in a simple and effective way, resulting in a clear increase in productivity, margins and service quality. Frotcom connects directly to factory fitted fuel system on most cars, vans, trucks and earth moving machines. Digital fuel sensors can also be installed when required. Let Frotcom secure your fuel today! 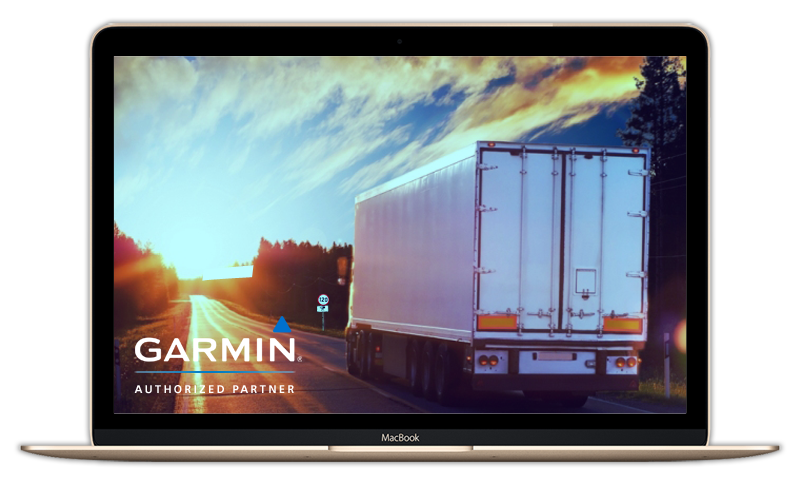 The Garmin device determines the speed limit using GPS data and communicates it to the speed limiter unit via Garmin FMI (Fleet Management Interface). The speed limiter then keeps the speed of the vehicle below the applicable speed limit. With Frotcom you will have full control of your fleet! Control your company's fleet operational costs and increment productivity in Cape Town: by using Frotcom you can minimize costs related with fuel, maintenance and tire wear; tolls and speed tickets; accidents, insurances, and driving time violation tickets (tachograph). Provide traceability to operations: trace back whatever happened with a certain cargo or service. Provide a good service to your customers: with Frotcom you can focus your efforts on exceptional customer service. Increase safety in your fleet's activity: nothing can be forgotten when it comes to safety involving your fleet - drivers and passengers, vehicles and assets, cargo and materials, and of course, fuel. Comply with legislation: run your operations as quickly and smoothly as possible, but always within the limits of the legislation. Fill in your details to get more information on how Frotcom can help you. We do not sell, rent or share your data with any third parties. To monitor each car or truck, Frotcom uses a GPS/GPRS device from Cape Town. The device registers the vehicle information and data is transmitted by GPRS to the Frotcom Data Center. Using a web browser, you may then access Frotcom to track your vehicle. No need to install software to access Frotcom, the only thing you need is a computer or a smartphone connected to internet. 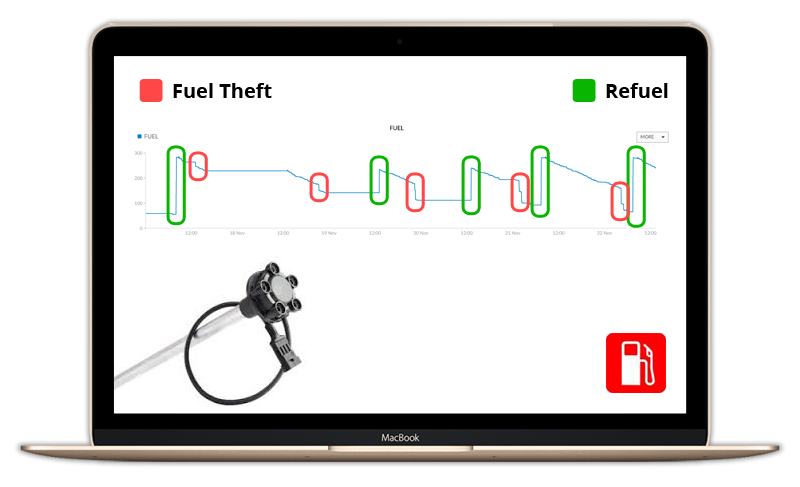 Vehicle location is shown on digital maps, velocity, ignition and sensor data can be viewed in graphs or tables, so you can manage your fleet's day-to-day tasks. You will know exactly the current status of your fleet. "Frotcom is fulfilling our needs. It outshines other products in terms of reputation, affordability and excellent support, with well tested technology and a quality solution, allowing good customization options"
"I'm delighted to say that we're seeing fantastic gains already, resulting from immediate fuel theft suppression, with a 52% reduction in fuel consumption, which in turn is giving us savings of 50 cents per ton mined." "It is a pleasure to work with a partner like Frotcom. 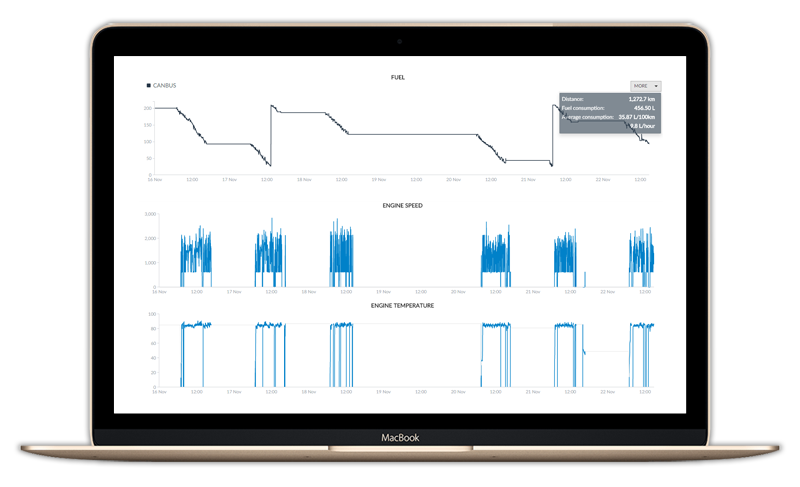 This solution has raised the attention of severall companies worldwide and it is actually used by millions of fleet managers." "Frotcom is fully in line with our needs to have a total control of our fleet and has helped us in our effort to minimize our fleet's emissions, too."